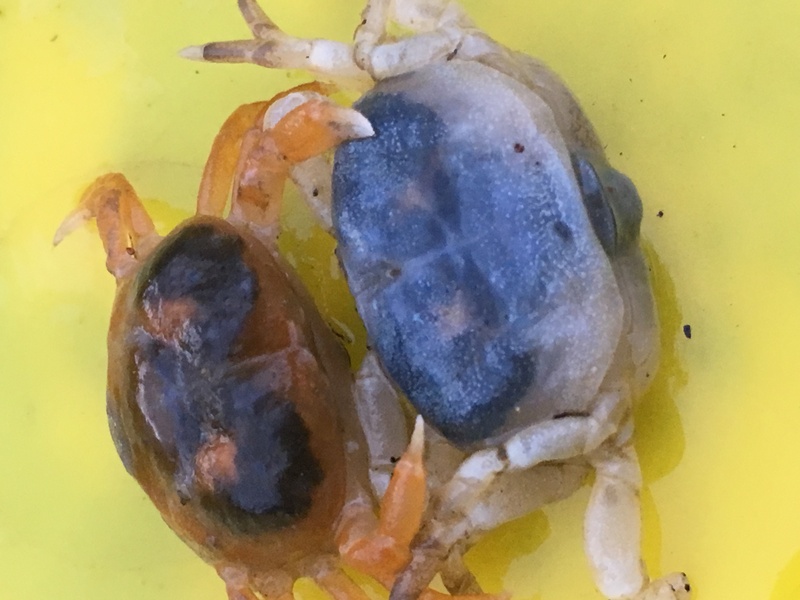 I found these crabs at the end of September, 2018. My family was vacationing on the coast of Lopez Island in the Pacific Ocean off of Washington State. I have been trying to figure out what they are ever since. 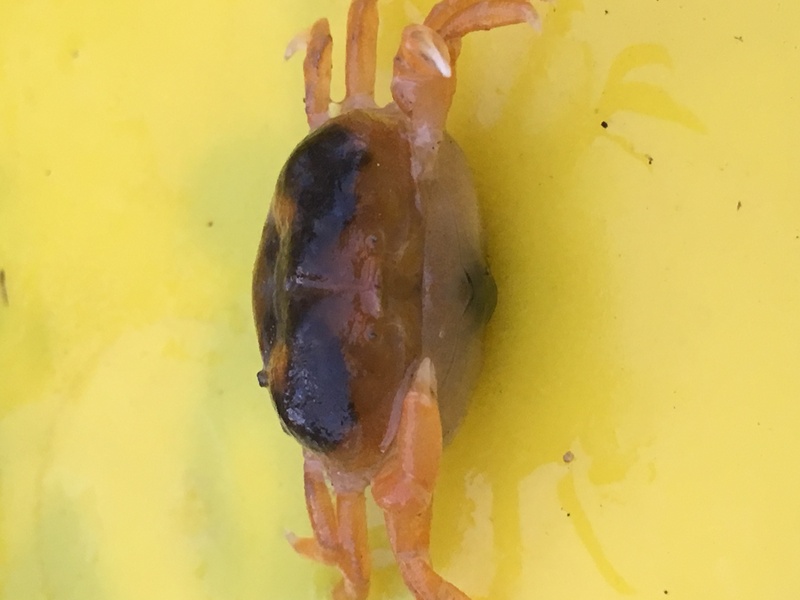 I found two crabs, one that was orange and black, and another that was off-white and black. They are both about an inch and a half across and an inch from front to back. I did some research and the closest thing I could find are oyster crabs, which are found inside oysters on the East Coast of North America. (I found my information on oyster crabs here). 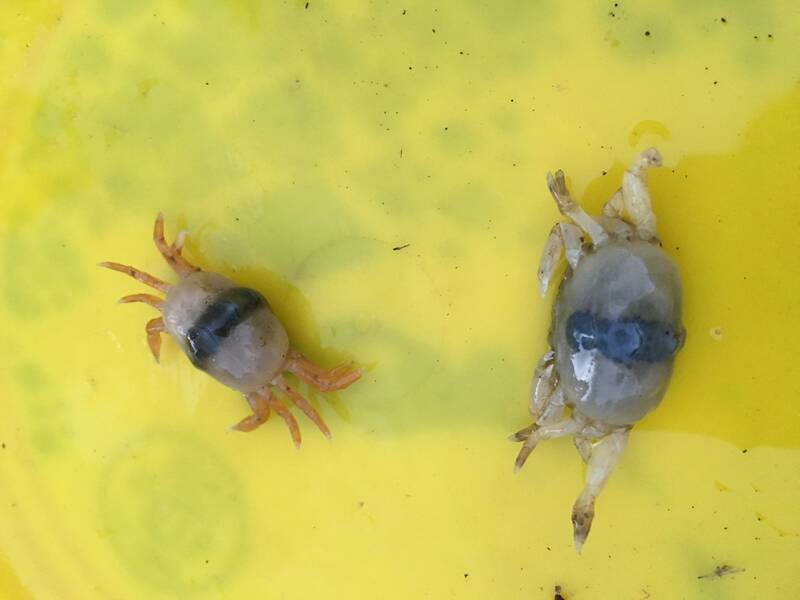 However, I found these inside clams on the West Coast. 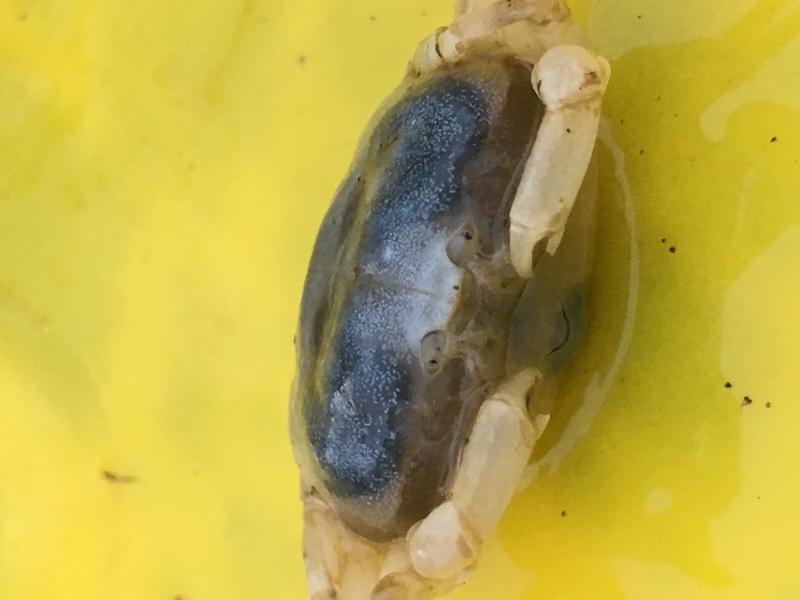 Also, the pictures of oyster crabs I can find online (figure 1) do not look like my oyster crabs. 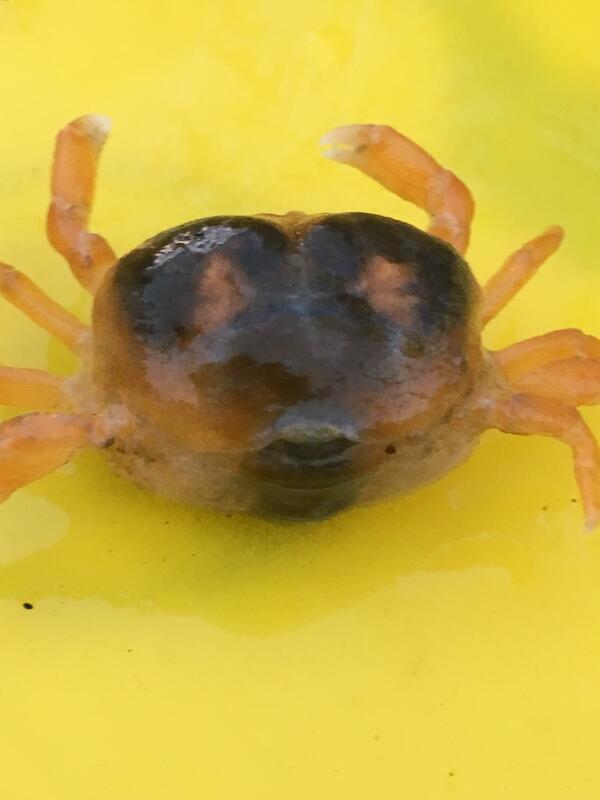 I was wondering if anyone can identify these crabs. Sorry about the picture quality and thanks in advance! 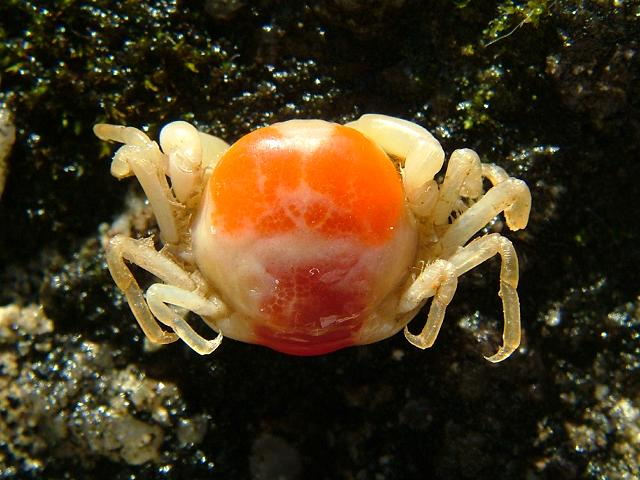 Browse other questions tagged species-identification arthropod or ask your own question. 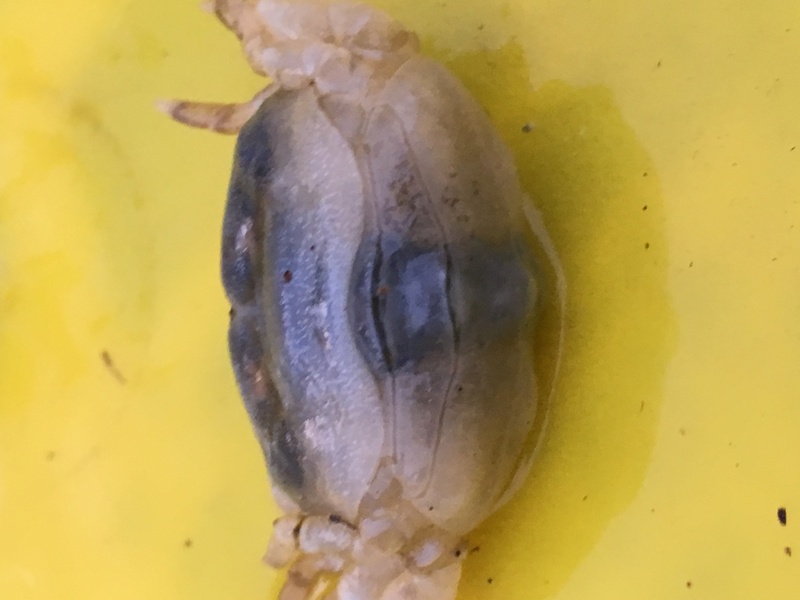 What is this insect found in Western Arkansas? Spider identification: male black widow? What kind of beetle has fuzzy orange antennae and can flip its head down for digging?